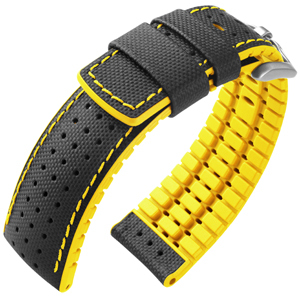 The watchbands displayed within this category will fit on Breitling watches, and are in many cases ​​specifically made for Breitling watches. 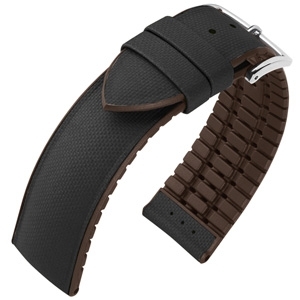 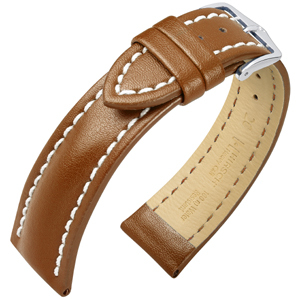 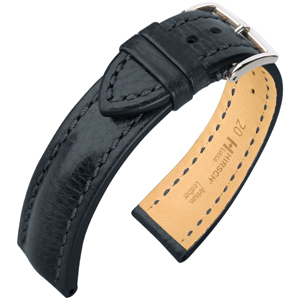 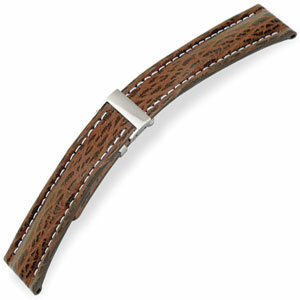 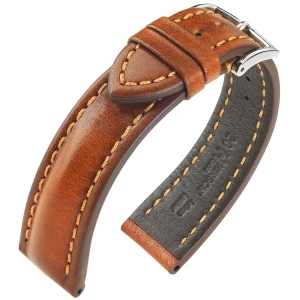 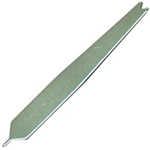 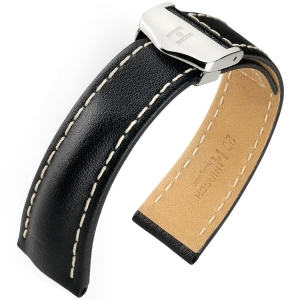 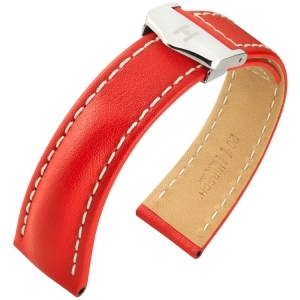 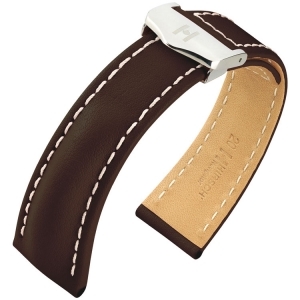 The watchbands on this page are high quality replacement straps for Breitling watches, and watches of other luxury brands. These straps are not made by Breitling. 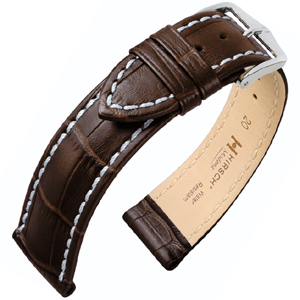 The Hirsch Navigator Karabu is manufactured as a replacement watch strap for Breitling Chronomat, Colt, Crosswind and Wings watches with a strap used with a folding clasp.